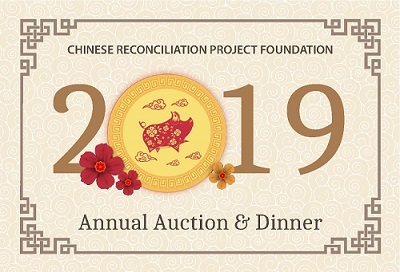 Enjoy great food, beer, and wine with friends, learn more about the Chinese Reconciliation Project Foundation and exciting plans for the park. 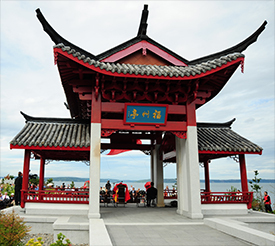 The Chinese Reconciliation Project Foundation (CRPF) is a nonprofit organization that advances civic harmony by way of the Tacoma Chinese Reconciliation Park along the Commencement Bay waterfront close to Old Town. The Chinese garden motif allows the park to stand both as an acknowledgment of the forceful expulsion of the Chinese population of the City of Tacoma by municipal leaders and a large crowd on November 3, 1885, and as a celebration of the city’s multicultural past, present, and future. The expulsion was an act of exclusion in response to complex conditions of the time, among them economic decline and anti-Chinese sentiment. The park is an act of reconciliation and inclusivity toward appreciation of the people of diverse legacies and interests who are part of the city as a dynamic community. Working with the city and the state, CRPF aims to inform and also to inspire. Through pathways and structures, as well as posted signage, visitors to the park can find out about Chinese sojourners who made their way to live and work in Tacoma and later encountered civic injustice. The park thus provides a place for contemplation but also renewal. Children can run and play, family and friends can exchange ideas, and all can be mindful of the interconnectedness of peoples.